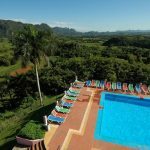 Located approximately 1 ½ miles from the small Honduran town of Copan, and easy accessible by car or tuk tuk, the Macaw Mountain Bird Park & Nature Reserve might not be as famous as the nearby Mayan ruins but is equally deserving of a visit. Before moving on though, perhaps I should explain why I am writing about a park in Honduras but attributing it to neighbouring Guatemala? 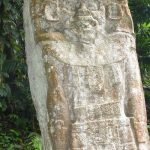 Well, Copan is located just across the border from Guatemala and is a popular detour for anyone travelling overland from Guatemala City to Livingston & Peten. 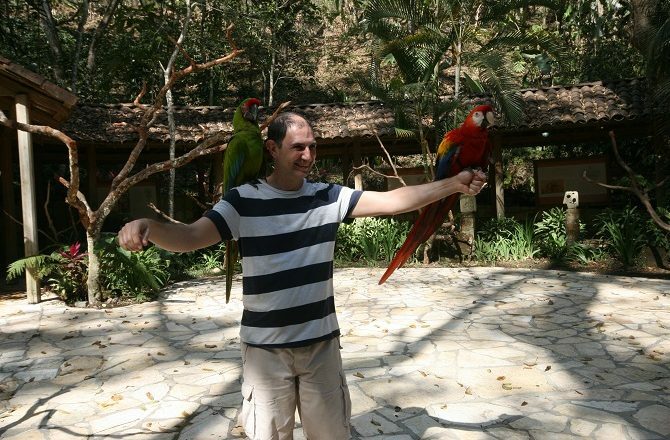 Situated with a beautifully forested 9 acre site, through which a small river ruins, Macaw Mountain park was originally born by accident after Lloyd Davidson agreed to temporarily care for a number of birds that had been rescued in the Bay Islands area of Honduras. 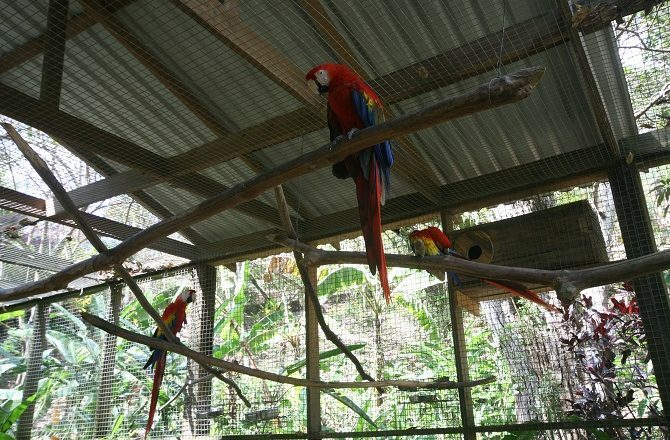 As the number of birds being rescued and donated continued to grow, so the Bird Park came into being. Although the Macaw Mountain park is home to a wide variety of birdlife – toucans, orioles, parrots, hawks, owls, parakeets and motmots included – the primary focus of attention is on saving the rare and endangered Central American macaw. The park is part rescue centre (many of the birds were previously kept as pets or were seized from bird smugglers) and part breeding centre. 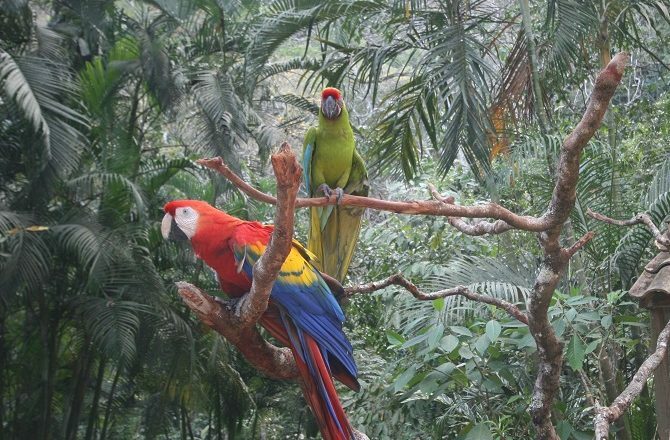 The intention is always to return the macaws to the wild, and to increase their numbers, although some of the rescued birds will see out their lives in the far more suitable surroundings of the Park. If you visit the Mayan ruins first, chances are that you will see a large number of macaws near the entrance; this is part of the Macaws in Freedom project designed to bolster the number of macaws found in the wild and which is run in conjunction with the Park. Exploring the Macaw Mountain park is very straightforward with a circular boardwalk trail starting and finishing in the Visitor Centre. 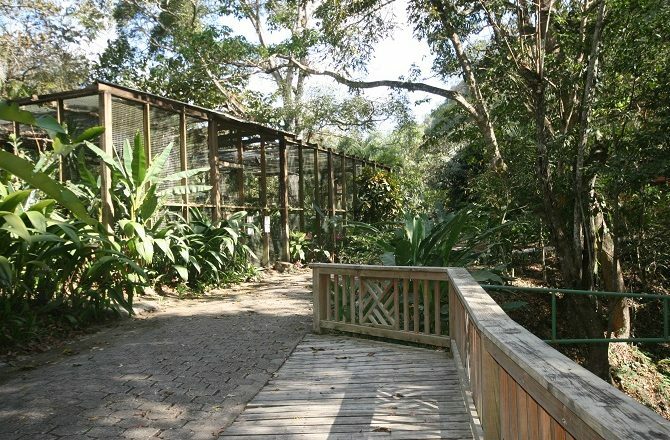 All of the birds are housed in spacious enclosures and one of the attractions of the Park is that visitors are free to enter some of these enclosures and see these beautiful birds upfront and personal. Towards the end of the trail there is an opportunity to get even closer to a macaw and have one or more perched on your shoulder (see photos) for the obligatory photo shoot. Even if you don’t consider yourself an avid bird enthusiast, it’s a wonderful project in a beautiful setting. Swimming is allowed in the river and there is a small café serving the wonderful coffee from the Copan region.